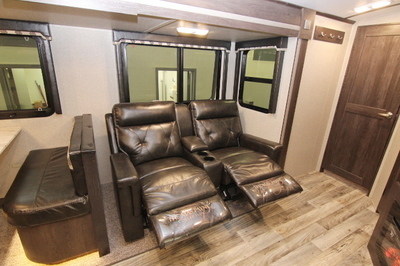 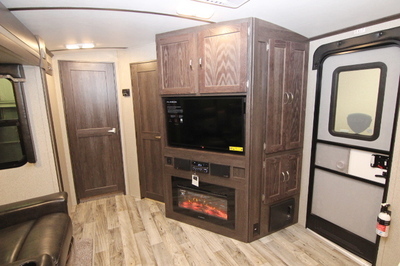 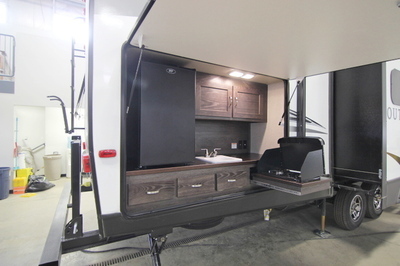 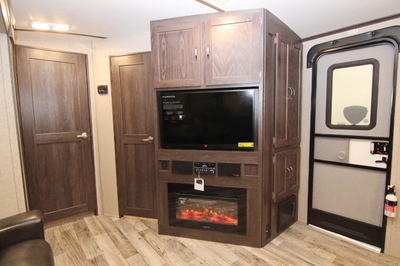 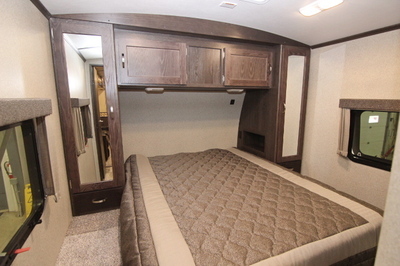 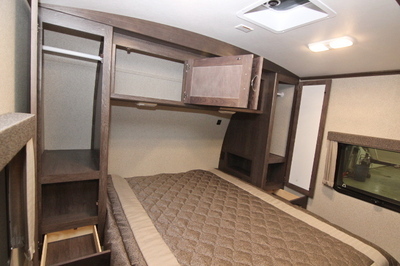 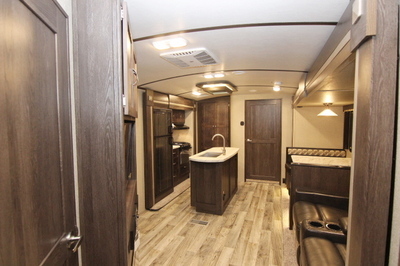 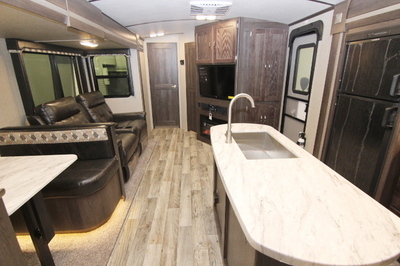 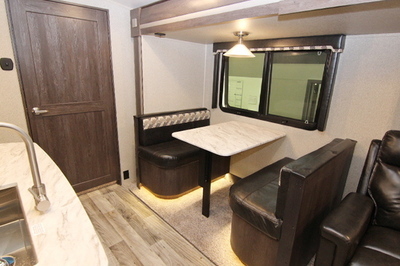 Packages and Upgrades Included with this Unit:- Booth Dinette, Rear Bunk Room, Premium Package, Comfort Package, Designer Pack, 7 Point Automatic Leveling System, 15.0 BTU Air Conditioner - Ducted, Fireplace, Black Tank Flush, 50 AMP Service/Wire and Brace for 2nd A/C, Stainless Steel Appliances, LED TV, Theater Seat, Radial Tires, Exterior Convenience Utility Center, Hide-A-Bed Sofa (Bunk Room), Aluminum Wheels, 15" Spare Tire Kit, Carbon Monoxide Detector. 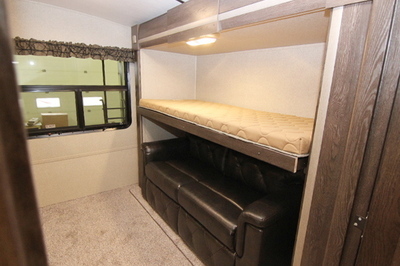 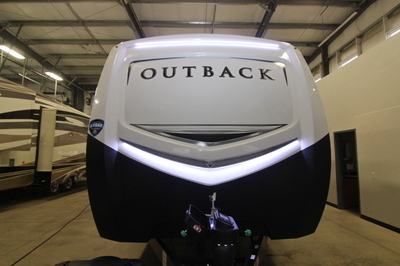 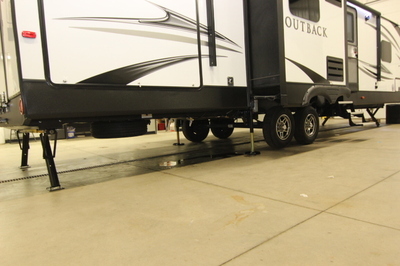 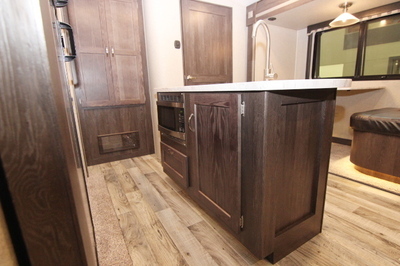 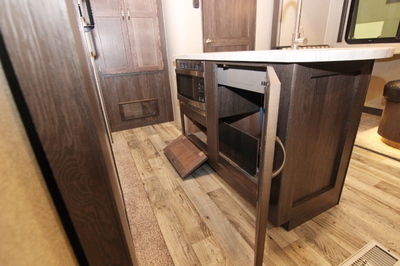 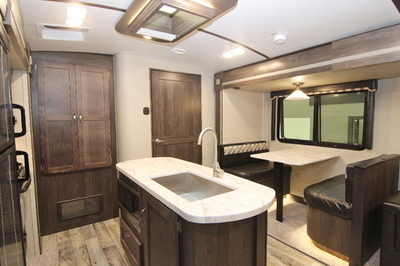 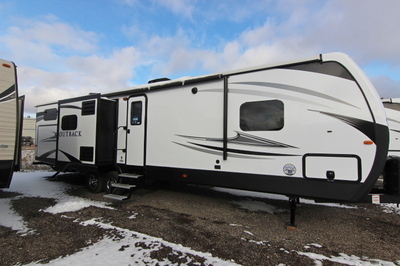 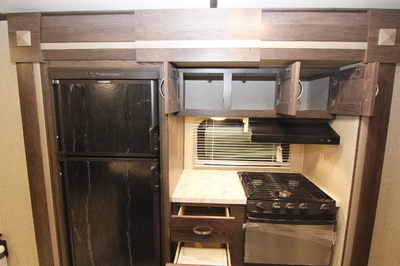 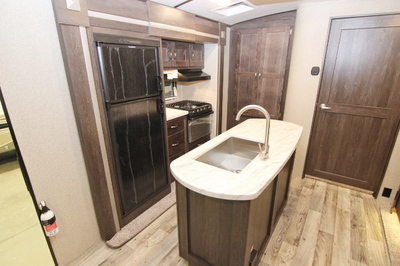 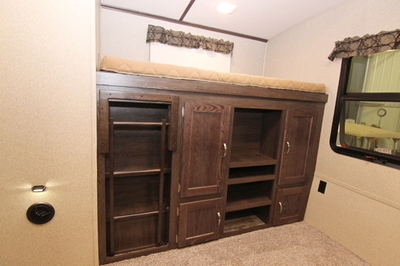 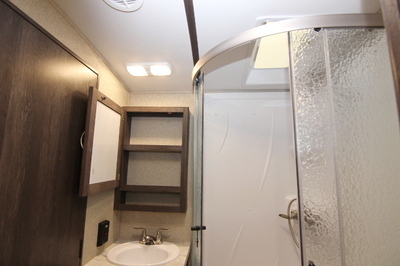 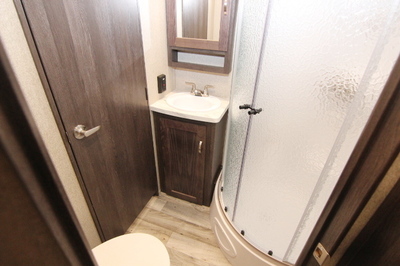 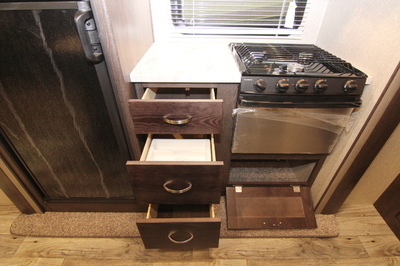 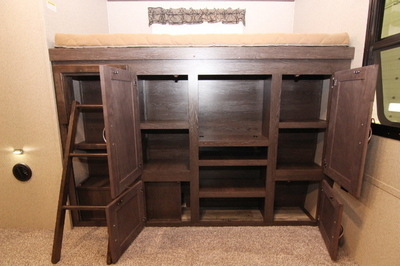 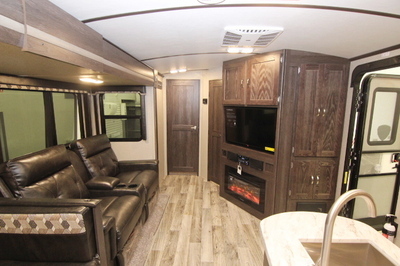 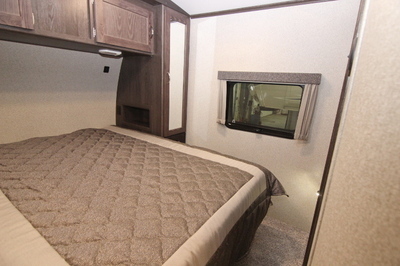 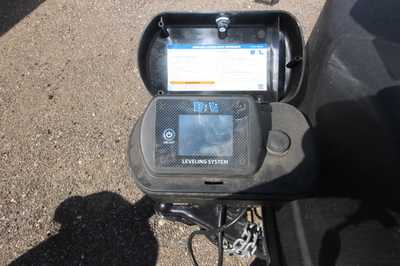 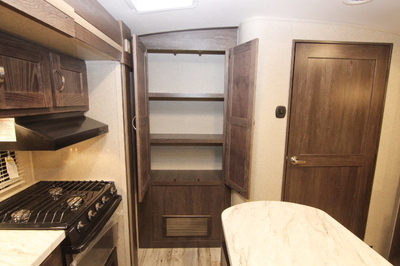 Appliances: - Stainless Steel Appliances, DVD Player with Bluetooth Remote Control App, Two Door 8 Cu. 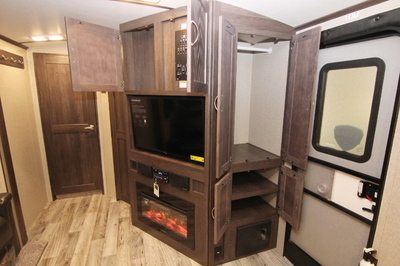 Ft. Refrigerator, 3 Burner Range with Oven,Six Gallon Gas/Electric DSI Water Heater ByPass With 16.2 Gallons Per Hour“Quick Recovery”, 13,500 BTU A/C Wall Thermostat, 35000 BTU Furnace, Microwave. 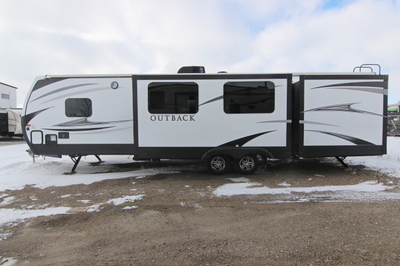 Exterior Standards: - Painted Fiberglass Front Cap w/LED Strip Lights and Rock Guard, Black Framed Tinted Jalousie Safety Glass Windows , Black Tank Flush, Assist Entry Grab Handle, Extended Drip Caps and Full Length Drip Rail, Security Light (Off Door Side), Porch Light, Hitch Light, Step Light, Weather Encapsulated Body Trim, Exterior 120v Receptacle, Heated Enclosed Underbelly, LP Tank Cover, Automotive Style Fender Skirts, Double Welded Dual Battery Brackets, Exterior Speakers, Easy Lube Axles, Outside Camp Kitchen, Exterior Quick Connect LP Hookup, LED Hitch Lights, Satellite Prep,Slam Latch Baggage Doors W/ Magnetic Door Holders, Rear Ladder, Power Tongue Jack, Black Slide Out Endwalls, Water Docking Station, Power Stabilizer Jacks,Aluminum Entry Steps, Friction Hinge Entry Door, Rear Max Cargo Rack, PanaView Patent Pending Windshield, 7.3 Auto Leveling System, Battery Disconnect. 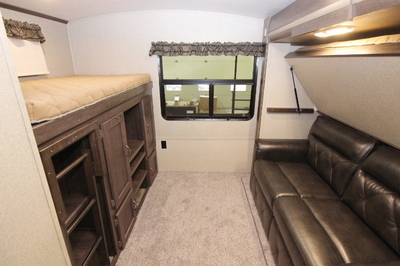 Utilities: 75-Amp Converter,30lb LP Bottles with Auto Change Over, Omni Directional Hands-Free TV/Radio Antenna,50-Amp Shore Power Line, LP Leak Detector, Smoke Detector, Carbon Monoxide Detector, Fire Extinguisher, Tinted Safety Glass, Break-Away Switch, Safety Chains, Manual Slide Backup on All Electric Slide Outs, 12 Volt Battery Disconnect, RVIA, Radial Tires, 15” Spare Tire, Carrier, and Cover, Aluminum Rims.